We know that Black Friday is an important day for a lot of businesses specifically those in the retail sector. How do we know this? Each year during the week of Black Friday we break our own record for most amount of messages sent in a day! Will this year be the same? Whether you’re taking part in the Black Friday sales or not, your customers are waiting to hear from you and find out what your offer is. According to Finder, an estimated 14.8 million Brits (35.7%) have deferred spending money on clothing, electronics, major appliances and furniture until the release of Black Friday and Cyber Monday deals. eMarketer has predicted that 45.6% of all retail ecommerce sales in 2018 will come from mobile devices and as this technology continues to develop, new opportunities arise to promote your sales. Customers now fit their online shopping into coffee breaks, commuting time and whenever else there’s time for a browse using their smartphone; making mobile messaging an essential Black Friday tool. If it’s not broken, don’t fix it. SMS has stood the test of time and with good reason. With an open rate of 94% in 2018, there is no better way to let your customers know about your sale event or a gentle reminder that there’s only certain time left to claim. There are certain aspects that should be in every message as seen below. If you’re not using a sender ID and are sending from a Virtual Mobile Number then it’s crucial to identify yourself in the message instead. 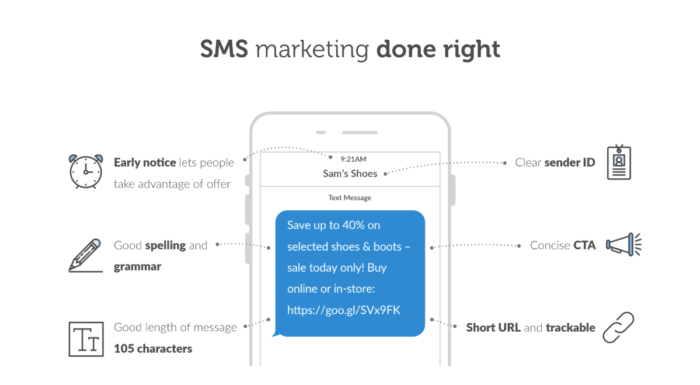 How would you like to boost your conversion rate by 30% in your next SMS Campaign? 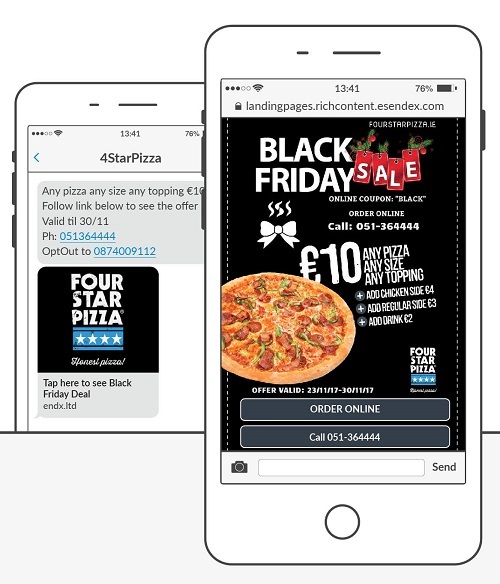 That’s exactly what happened to our customer Four Star Pizza when they combined their usual text message campaign with an attention-grabbing landing page. We’ve built a lot of great features into our Landing Page product, such as unique URL text, web preview and hex code colour options that really do drive engagement and not just online. Moy Furniture used a combination of SMS and landing pages to promote their in-store sale and were amazed to see that not only did their footfall increase, but their revenue was double what they expected from their previous sales. SMS 2.0 comes in the form of RCS, presenting marketing teams with the ability to add buttons, rich cards, integrated chat as well as payment facilities directly from Android’s standard messaging app. Brands will also benefit from the ‘verified sender’ status reassuring their customers that the message is genuine. 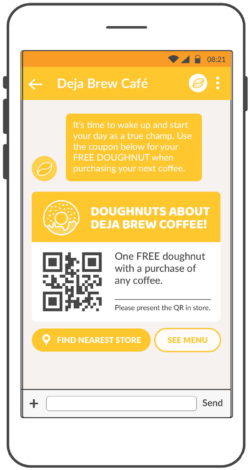 RCS enables you to expand upon your initial message with QR codes, image carousels, maps and location integration and more, with the customer even being able to bag a deal within the messaging application. Retarget customers with abandoned shopping carts and enable them to purchase instantly from within the reminder. By planning an intelligent merchandising strategy around a unique multifunctional experience that engages customers, making them feel valued, encourages them to purchase with you again and again through the Christmas trading period. If you’re looking to take your customer messaging to the next level, get in touch with your account manager directly and they’ll be happy to help manage your first campaign or make an enquiry about using rich content here. I'm the Marketing Executive for UK and Ireland at Esendex, with a background in SEO. I'm passionate about technology and exploring digital marketing trends.